Interested in expanding your employee benefits portfolio of products and services? 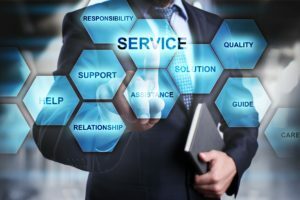 More and more employee benefits service providers are seeking to become a one-stop shop for their clients in serving all of their clients’ needs. You’ve spent significant time, efforts and resources to build your client base and your clients’ trust, so you are the first one they turn to in seeking a quote, advice and/or a referral for additional services. Why send them elsewhere? Many competitors now offer additional benefits and services including a workforce management suite of products with payroll, time and attendance, HRIS software (including Benefits Administration functionality) and ACA compliance management. This is your opportunity to expand your offering as well. The Checkmate HCM platform by Kronos was designed and built on a single database. That means a streamlined solution that creates a single record for each employee delivering exceptional functionality, in-depth workforce data capturing and analysis, ease in implementation and an intuitive user interface. Backed by Checkmate’s guarantee for top-notch timely and accurate customer service for both our clients and our partners, we’re here to support you in providing the best client experience to ensure your clients’ satisfaction. If you are a client-service oriented company looking for industry-leading technology and a partner you can rely on, we want to talk to you.